Hesket Parish, in the Forest of Inglewood, Cumbria. All households in Hesket Parish have their household waste and recycling collected by Eden District Council. A copy of your recycling calendar can be found here by using your postcode. 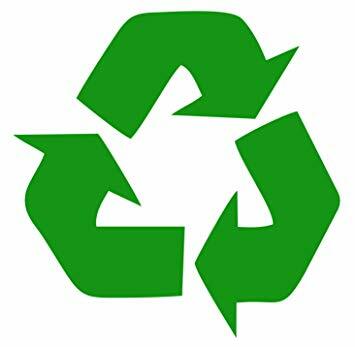 There are also additional recycling facilities in most of the villages within the Parish. These have been adopted by the local community, in most cases the local Primary school, who are paid by Eden District Council to keep the areas clean and tidy. Please ensure that all items are placed within the appropriate bins. Calthwaite Globe Inn, Calthwaite, Penrith CA11 9QT Cans, Foil, Glass, Paper, Card, Plastics, and Textiles. Ivegill Village Hall, Ivegill, Carlisle CA4 0PA Cans, Foil, Glass, Paper, Card, Plastics, and Textiles. Low Hesket Village Hall, Southwaite Road, Low Hesket, Carlisle CA4 0ES Cans, Foil, Glass, Paper, Card, Plastics, and Textiles. Plumpton Old lorry park on A6 (just past the school, southbound) Cans, Foil, Glass, Paper, Card, Plastics, and Textiles. Larger Household items can be recycled at Cumbria County Council Household Waste Recycling Centres at Flusco, Penrith (off the A66) or Bousteads Grassing, Carlisle, directions and details of which can be found by clicking the links. Copyright © 2019 Hesket Parish Council. Powered by WordPress. Theme: Accelerate by ThemeGrill.